This buttery Vanilla Wafer Cake uses a box of Vanilla Wafers instead of flour. Shredded coconut and chopped pecans get mixed into the batter and it is baked up in a bundt pan. This is seriously one of the most delicious cakes I’ve ever eaten. I think I gained about 5 pounds the week I made this cake because I kept going back for just one more little sliver. 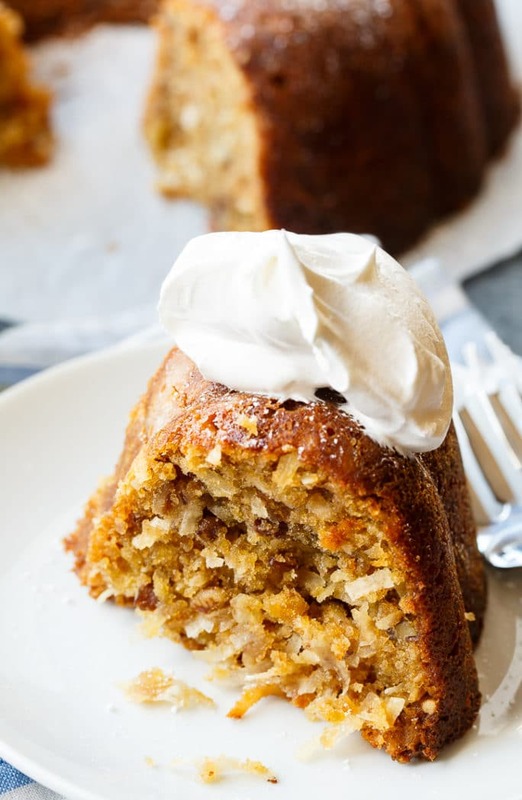 This is a recipe that’s been around for quite a few years and it is similar to a pound cake, only I think it is much, much better. Vanilla Wafer Cake doesn’t have any icing and it really doesn’t need any. Maybe a dollop of whipped cream, but that is all. Vanilla Wafer Cake bakes up wonderfully moist and sweet and it will stay fresh for days. 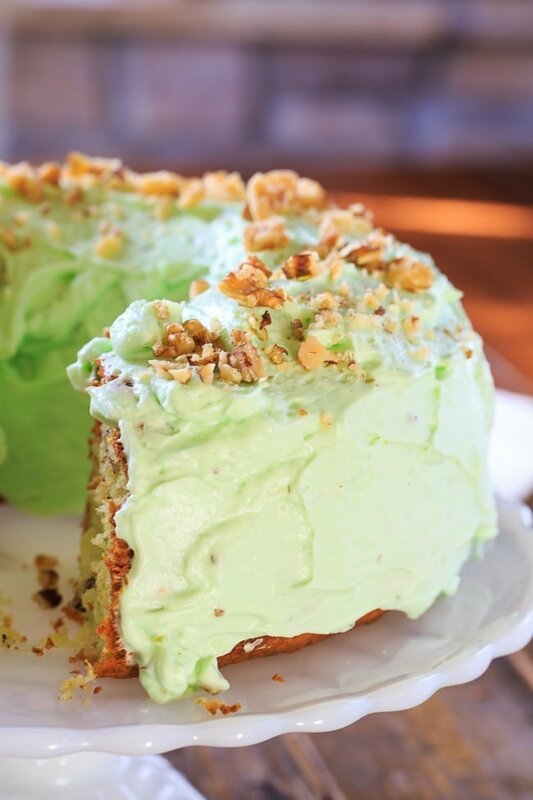 It’s sturdy like a pound cake, making it a good choice for taking to potlucks. Never miss a recipe. Follow Spicy Southern Kitchen on Youtube, Facebook, and Pinterest. Watch the short video below to see how easy this cake is! Preheat oven to 350 degrees and grease and flour abundt pan well. Alternate between mixing in vanilla wafer crumbs and milk. Stir in vanilla extract, coconut, and pecans. Place in oven and bake for 60 to 70 minutes. Let cool in pan for 15 minutes and then invert onto a cake stand or plate. Note: Whenever I bake something in a bundt pan, I place it on a baking sheet just in case there is any overflow. This entry was posted in Cakes and tagged bundt cake. Bookmark the permalink. I have been making this cake for 40 years, and it is a show stopper every time! My Brother n Law made this cake Memorial Day 2018 and it was very very good. It is his favorite cake to make. Do you have any idea about the measurement on vanilla wafers??? We have a large ziplock bag of crushed wafers left from a food activity for church with kids. Was looking for someway to use them and this cake sounds delicious Was wondering if 1 1/2 cups would be right since 12 oz pkg used. Not sure if that would equate in volume??? Can you double this recipe for a bigger cake? i love this cake but my son cannot eat coconut can i make without coconut? I’ve never tried Diana so I’m not really sure how much the texture would be affected. 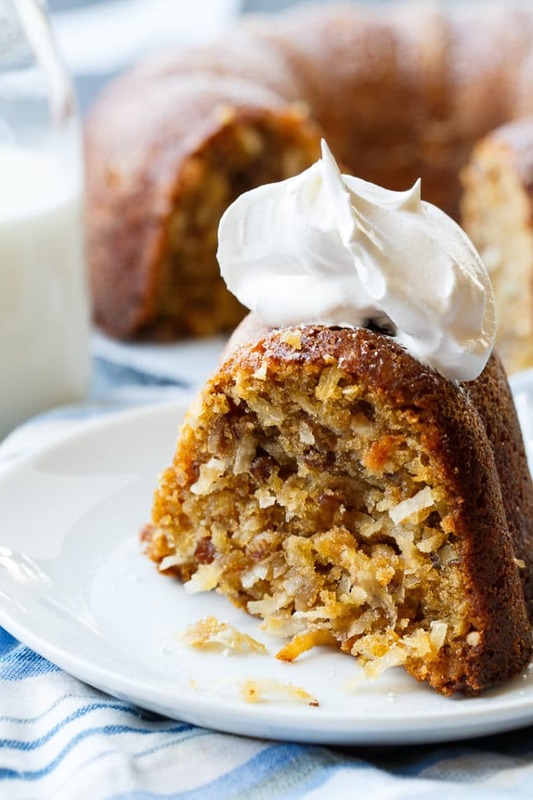 My mother used to make a very similar cake that called for coconut. I hate coconut so she made it with shredded carrots. Similar texture and water content. I’ve made this cake 3 time now, it tastes wonderful but……..the cake WILL NOT come out of the pan. I have greased and floured but all 3 times it has stuck. Help!!! What did you grease with? Try using Crisco vegetable shortening. 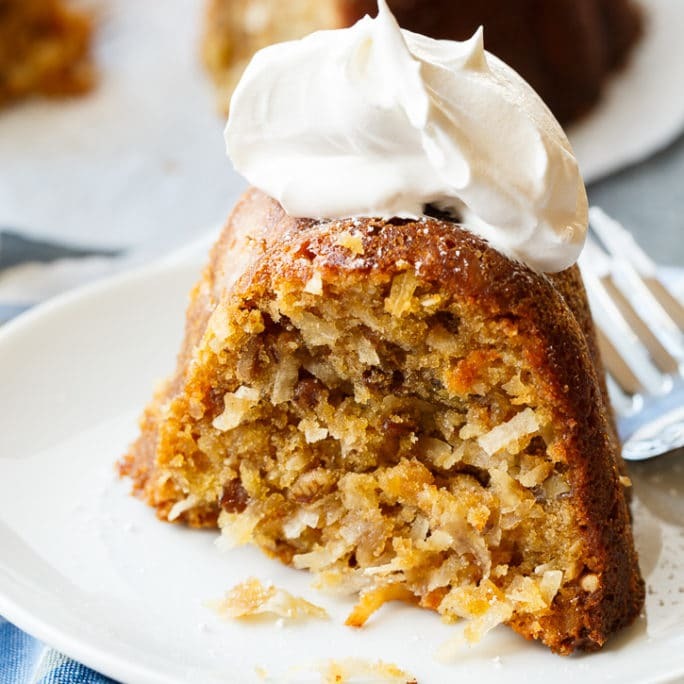 Are you using a non-stick Bundt pan? I always use Pam spray.Never stick. I use Pillsbury can spray with flour included. It works as good as Pam or better. Use a spring form pan, that is the best- like the ones you’d use for angel food cake. The consistency of the cake makes it hard to come out of bundt pans or any sort of ‘decorative’ pan. This recipe is well over 50 years old, just for information! I always line my tube pan with wax paper. Then I never have a problem with sticking. My mother used to make this in the 50s. The original recipe calls for Oleo (margarine) and sweet milk. My favorite cake! The comments are true. I have made this cake four times since I discovered the recipe. It is absolutely addictive. My sister has received several requests from her pastor and other church members to make this cake for them. It really is addictive isn’t it? I only let myself make it once or twice a year because it makes me loos all control!! I use Baker’s Joy to grease and mine never sticks! I use a generous amount too! I’m going to try this on Saturday. 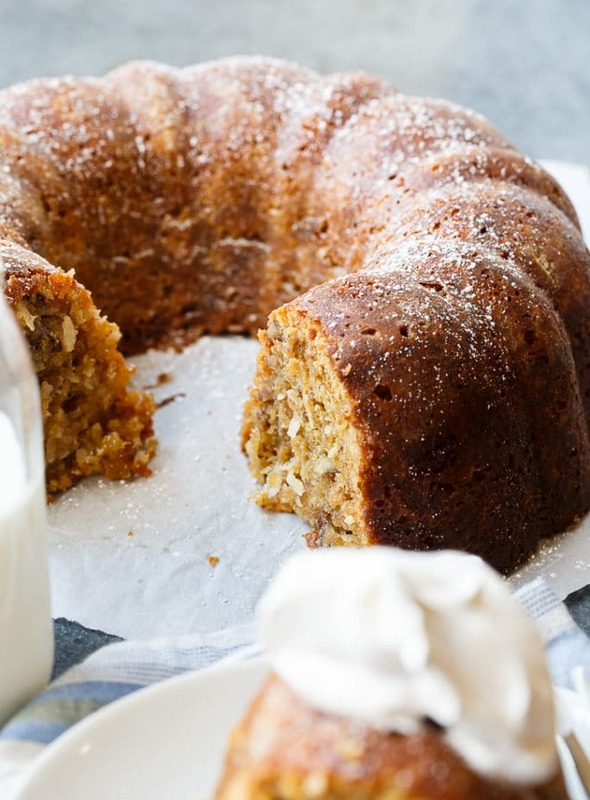 Do you think it would be okay to add bourbon, rum, or a nice vanilla porter to this recipe? I’m thinking either adding two tbs. of one, or should I cut it into the cup of milk? I’m also thinking of doing a vanilla icing or a glaze. Any suggestions? I think it would be delicious with any of those added. I would probably cut it into the milk. A simple glaze would be good on it or caramel sauce would be delicious. Excellent, thanks for this creative recipe! I’ll give it a shot. 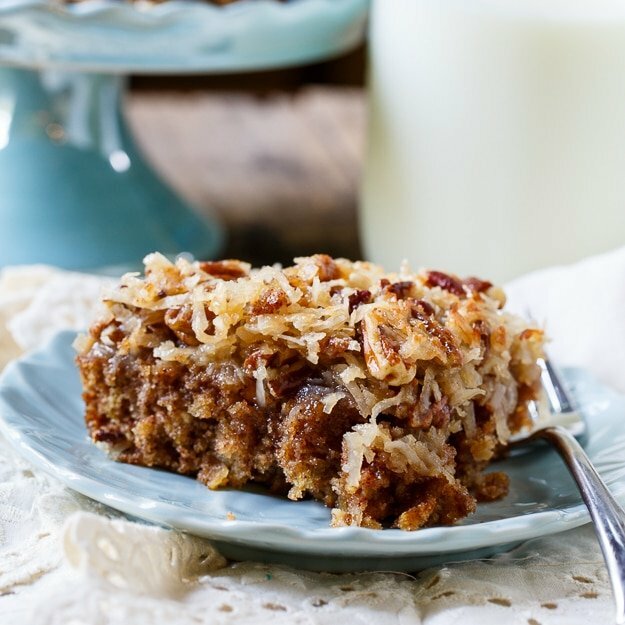 What would happen if the coconut and pecans are taken out of the recipe? I just heard the person I’m baking this for might not like them. I would choose another cake to make. 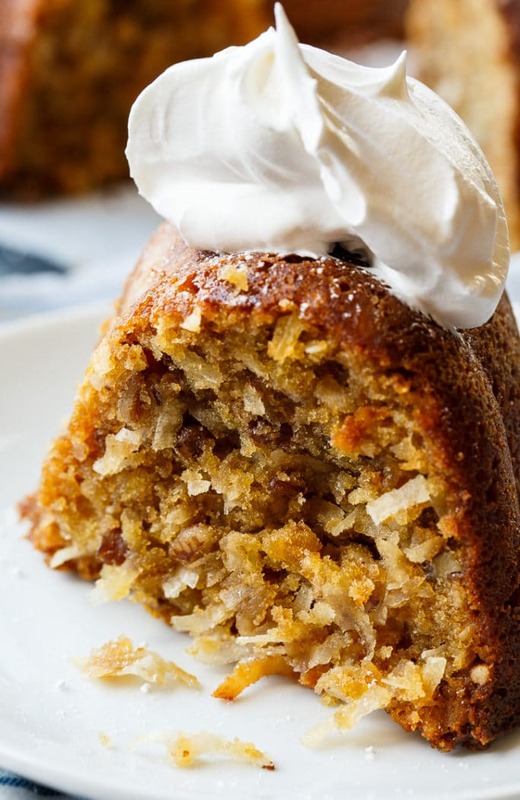 The coconut and pecans are very important for this cake. I almost forgot – I did make this cake a couple weeks ago, and it turned out incredibly well! I cut the milk with a 1/4 cup mixture of vanilla porter and dark rum for the cake, and did a french vanilla icing that I added the rum and about 3 tsp. of flan mixed in. It was a huge crowd pleaser. I will email you a photo of it. Thanks again! Your cake look so delicious! Thanks for taking the time to send a picture and your alterations sound fabulous! VANILLA WAFERS ARE BOMB – so I have ZERO DOUBT in my mind that this wouldn’t taste SENSATIONAL! Oh I’m intrigued by the cake, Christin! I love that you swapped out the flour for vanilla wafers. Looks SO good! Oh my goodness! Yes please! I will bake this and eat it all. That coconut in there had me at hello!